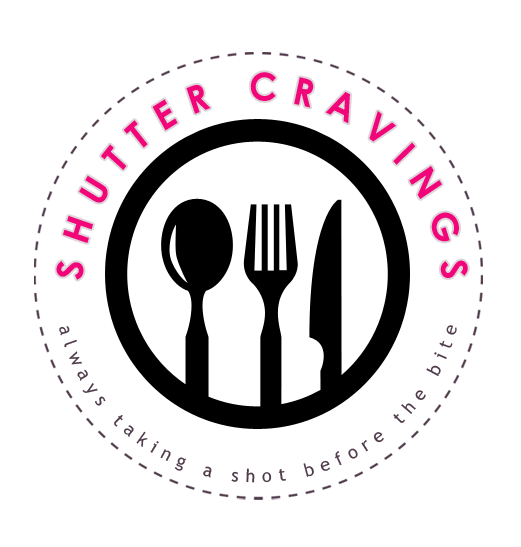 One of the things that I will never forget in 2012 is the birth of this personal lifestyle blog, Pixels and Tales last June and my food blog, Shutter Cravings last November when I decided to allocate my food entries their own space. I have been in the blogosphere for almost 6 years now but it is only this year that I have been more focused on topics other than personal issues and senseless emotional rants. 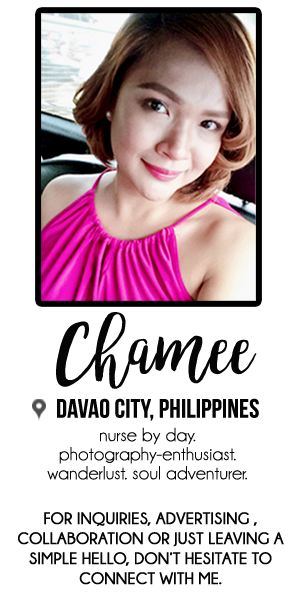 It is also in the year 2012 that I became an official member of the Davao Bloggers, a community of bloggers based in Davao City with various niches such as fashion, beauty, lifestyle, travel, personal, food, photography and Davao gateway. Being a member of this organization paved the way for me to attend events and activities, to meet new friends who share the same interests with me, and become more sociable and confident in dealing with other people. 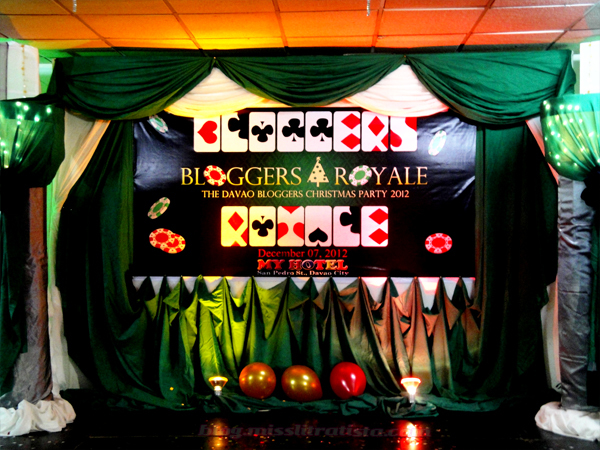 Last December 07, 2012, the Davao Bloggers gathered together for an annual Christmas party with the theme Bloggers Royale. I bet organizers of this party were fixated on the recent James Bond movie Skyfall that they adopted this theme for this year's event. I was having second thoughts about attending this party because first, I don't have anything to wear, and second, the event fell on a Friday, which means that I have to rush all preparations after work. I guess all the cards were on my favor the moment that I found a dress to wear and realized that I still have 5 days of forced leave to utilize before 2012 comes to an end. Without hesitation, I took a leave from work (with pay, of course) to finalize preparations for this event, and to get some much-needed rest after days of being stressed. Activities during the #DBXMAS party included a sumptuous buffet dinner (with desserts from Lachi's), a very intellectual trivia game (this has been the most intellectual Christmas party I attended to in my entire life), introduction of members and their respective blogs, the Davao Bloggers Awards Night (Kudos to all the winners! ), awarding of certificates to members, exchanging of gifts and non-stop pictorials. I bet you're all excited to see pictures of the event as much as I am also excited to share with you the happenings on this event. So here it is and let the pictures speak a lot. With Sarah. I didn't expect that she also became a member of the Davao Bloggers until I saw her in the Greenwich event pictures. With Julz of As Told by Julz. I won a free make-up workshop in one of her giveaways. With Kuya Andrew. He was the one who invited me to be a part of Davao Bloggers when he awarded me the Blackberry phone I won from Cheyser's birthday giveaway. I didn't know he was the VP of DB back then. The president of Davao Bloggers, Ms. Dulce, awarding my membership certificate. 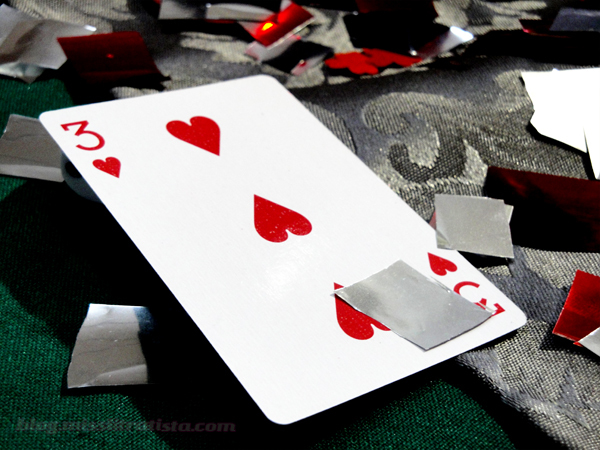 All members were looking glam and fabulous in their gowns, long dresses, cocktails and suits and in their own interpretation of a casino-inspired outfit. Not only that I was able to socialize with my blogger friends but I also met new friends in this party. Once again, thank you very much Davao Bloggers for making the #DBXMAS party a very memorable and fun-filled event, most especially to the organizers of this event for a job excellently done!